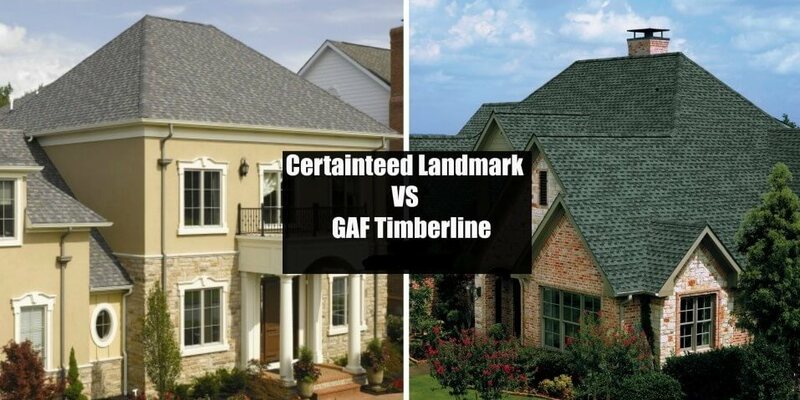 If you are looking for the highest quality asphalt shingles, the choice typically comes down to: GAF Timberline vs. CertainTeed Landmark. Both GAF and Certainteed are very large and reputable roofing manufacturers; all their shingles have a solid performance track record. In terms of material and installation prices, Timberline and Landmark shingles cost about the same. However, just like anything else under the sun, each of these brands has advantages and drawbacks. Here is a straight forward (no marketing talk) comparison of the two best shingle manufacturers. It is based on price, durability, longevity, ease of installation and warranty factors. Roofing material cost is a huge determining factor for many homeowners. There is no reason to overspend on asphalt shingles, if quality and durability are similar. Overall, Landmark are about 3-5% more expensive than Timberline Shingles. This difference usually depends on the supplier. Lets take a closer look at pricing. Each manufacturer has three product lines of different quality grades. GAF offers Timberline Natural Shadow (good quality, cheapest); Timberline HD (better quality, more expensive); Timberline HD Ultra (best quality, most expensive). Similarly, Certainteed offers Landmark (good quality, cheapest); Landmark Premium (better quality, more expensive); Landmark PRO (best quality, most expensive). Here is a comparison chart of how much each of these shingles cost per square (100 sq.ft). Note, prices do not include installation or roof tear off costs. From the chart, it is evident that the biggest cost difference is between the two medium grade products. Landmark Premium are 32% more expensive than Timberline HD. Basic roof shingles cost about the same. Standard Landmark shingles are only 3% more expensive than Natural Shadow. Lastly, Landmark Pro is about 6.5% more expensive than Timberline HD Ultra. Thus, it is clear from this comparison that there is really no reason to overspend on Landmark Premium. 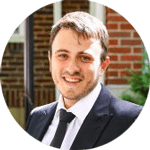 Many times, a roofer may try to talk a homeowner into getting a “premium” roof, basically trying to make money without providing any additional value. Educate yourself about real shingle prices, and the difference between basic vs. high-end products, so that nobody will take advantage of you. Landmark TL – a luxury design, triple laminate shingle, it is the most expensive offering in the Landmark series. If you are interested in any of these products, contact a roofer for a quote. Beauty is in the eye of the beholder, and there is no objective way to judge which shingles look better. Some people find that Certainteed roofs have a more upscale look, because they are heavier and have a high contrast color palette. Others prefer the greater variety of colors that GAF has to offer. Overall, each company strives to provide options for every type of home, from smaller traditional style houses, to high-end contemporary mansions. The classic Landmark shingles line has 16 colors to choose from. The more upscale Premium and Pro lines share the same pallet; each one has 11 colors. Burnt Sienna, Georgetown Gray, Moire Black and Weathered Wood are all favorite options among homeowners. 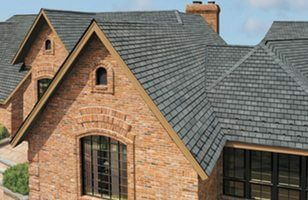 GAF’s basic shingle line, Natural Shadow has 8 colors. These are the shingles which are most often installed by DIY homeowners, since they are available at most local Home Depot locations. The most popular color here is Natural Shadow Charcoal. It has a deep black color and looks very good paired with the majority of siding colors and styles. A step up are Timberline HD shingles, available in 14 colors. This is the most popular line for GAF and in fact this is the Number 1 architectural shingles sold by volume in the US. The most popular colors here are Williamsburg slate and Weathered Wood. Similarly, Timberline HD Ultra has a unique set of 11 colors. Charcoal and Slate are very popular options. Pro Tip: not every color you see in either the GAF or Certainteed catalog may be available in your area. Don’t get your hopes up for a particular color before you find out that you can actually get it where you live. Also, it is a good idea to have a back up color, just in case you cannot have your first choice. Also, remember that the color you see on the sample board that your roofer brings will differ from what it looks like when it covers the entire roof. Many people have a hard time picturing the sample color on an actual roof. That is why its a good idea to go around your neighborhood, note the roofs that you like and ask the homeowners which color that is. 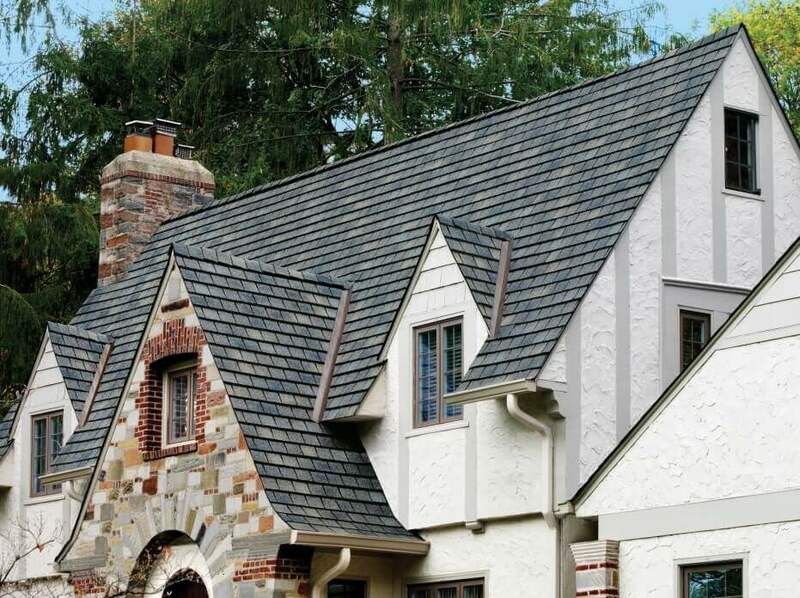 Even if its a different manufacturer from the one you are planning to use, your roofer can help you find a similar color from the brand that you want. Here is a more extensive guide comparing the design and color differences between Landmark and Timberline. Which shingle is more durable? 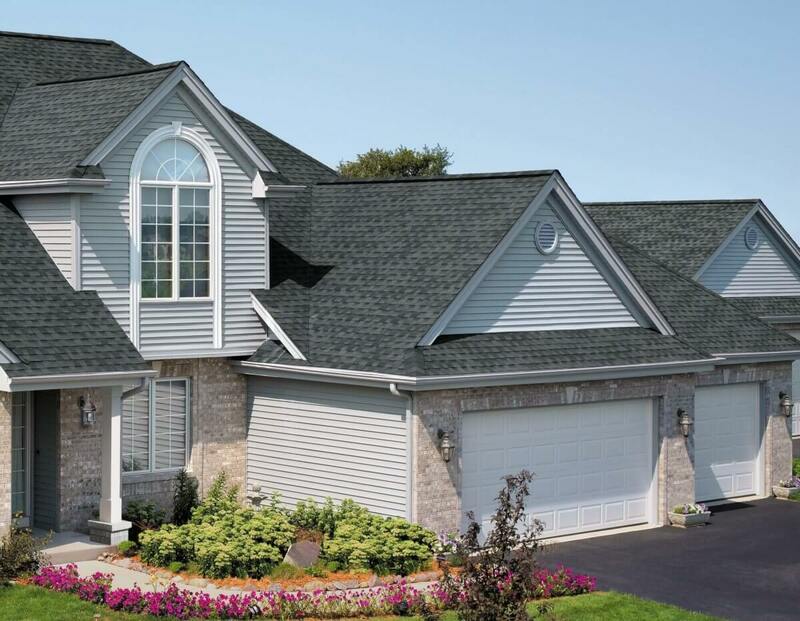 Durability is a very important factor, because you want your new roof to last a long time. GAF and Certainteed have comparable quality shingles. Still, many roofers have their personal preference. 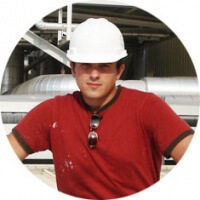 This may be due to local weather differences, as well as particular installation methods of each roofer. In terms of pure facts, Landmark shingles weigh at least 250 – 270 lb per square. This makes them about 30% more heavy than Timberlines. Some roofers believe this extra weight makes Landmark more sturdy and less susceptible to wind blow off. They are also more resistant to cracks, cupping and heavy impact such as hail. One disadvantage is that the extra weight makes for a more challenging, time consuming installation. This can be one of the reasons why some less experiences roofers would not like Certainteed shingles. Other roofers think Timberline roofs are just as sturdy. The extra weight in the Certainteed shingles is due to added limestone, which in their opinion is a useless filler material. Another point of contention is how much and how quickly shingles from these two brands shed their surface granules. All shingles have these small granules on the outside. They protect the shingle’s asphalt base from harmful UV rays. If the granules come off, these UV rays will destroy the shingle very quickly. Moreover, the granules are painted to create different colors. Thus, if too many are lost, your original roof color will change. Some roofers find that GAF shingles shed a lot of these granules literally right out of the box, where as Certainteed products don’t seem to have this problem during installation. 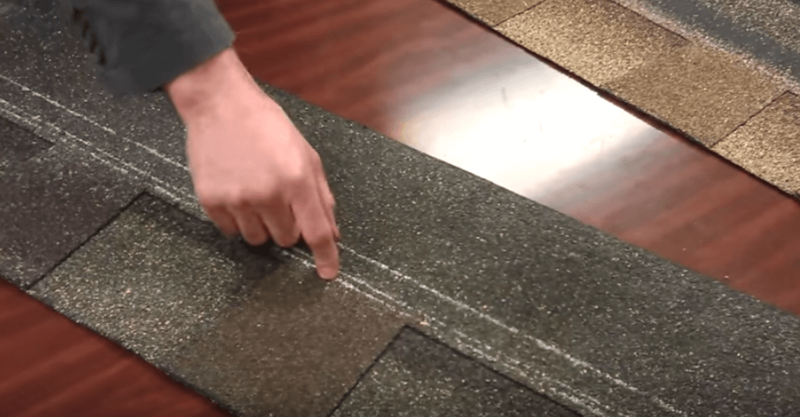 At the same time, many contractors find that Landmark roofing shingles shed a lot of these granules after installation, where as Timberlines don’t do so as much. What’s the overall best roofing material? One thing that is very important to realize is that shingles alone don’t not protect your house from the elements. In fact, the roofing system as a whole is a lot more important when it comes to overall longevity and durability. The system consists of such critical elements as the underlayment, roof deck, vents, ridge caps, ice and water barrier, etc. Most roofers find that GAF has the best underlayment product. The company offers a high quality, economical breathable synthetic underlayment, called Deck Armor. Roof underlayment is a very important component of the entire system, because it provides the second barrier of defense against moisture infiltration and other extreme weather conditions under the shingles. In fact, if shingles fail or are blown off, high quality, water-proof underlayment will protect your home. In addition to providing protection from external elements, a breathable underlayment like Deck Armor, will also protect your home from trapped moisture in the attic, which causes mold, mildew and even structural decay. If you live in areas prone to high winds, ice dams, or heavy rains, we strongly recommend installing only the highest quality underlayment. Don’t confuse Deck Armor or other breathable underlayments with other synthetic products, which are usually none-breathable and act as a vapor barrier. These none-breathable synthetics trap moisture between roof sheathing and underlayment, which overtime can cause rotting of the roof deck. When it comes to ridge caps, many roofers find that the Certainteed Mountain Ridge is the strongest shingle cap out there. It’s a high profile cap that uses 3 separate layers that don’t have to be bent out of shape to get them apart. By comparison, the GAF Timbertex ridge cap is made up of 3 separate layers of material, with 3 caps per shingle that are perforated. When you fold the bundle to separate the caps, the 3 layers will likely separate, depending on the temperature. One common practice to be aware of is that roofers often use 3-tabs instead of the specific ridge cap shingles. Doing this may void your “premium” warranty (it does not affect the basic material warranty). However, from a functional stand point, there is nothing wrong with this practice. Different roof system components have various pricing, depending on their quality. Often times, a roofer may give you a very “good” low price, because he will be using cheap, sub-par quality components of the system. This is a very bad idea if you want your roof to actually last. One factor that will greatly impact how long your roof will last is the quality of installation. Even the best asphalt roofs can fail prematurely if they are not properly installed. Installation is also important because the roofing manufacturer will not uphold their warranty, if they find the roof was not installed according to their instructions. Thus, you want to look for a product that is easy to install correctly. Although, we strongly recommend only hiring very experienced roofers, many homeowners will choose to go with a cheaper bid, because real pros charge a lot more for their services. Here is a more in-depth look at roof installation costs, and how roofers price their labor. In terms of the installation process, Landmark roofs are easier to install correctly than Timberline. The nailing area on the Certainteed shingles is 1.5 inches wide. This width gives the installer more room for error to nail the shingle on the line properly. Comparatively, Timberlines have a narrow line of only 1/16 inches that a roofer needs to be able to nail the shingles to. The problem here is that most roofers have automatic nail guns, and they move pretty quickly, so it will be very challenging to get a high level of accuracy. When it comes to protecting your shingles from wind blow off, correct installation is critical. We recommend that you ask your contractor how many nails per shingle he uses; 6 nails per row gives the Very Best protection against high winds. GAF specifies that if you want to extend your warranty coverage for wind blow off from 110 mph (standard) to 130 mph, shingles need to have 6 nails. Otherwise, the warranty will be void. Unfortunately, to save time, some roofers use only 5 nails, and others only use 4. Thus, it is better for you to actually be home during the install, and make sure that the roofer you hire is doing a proper job. You don’t necessarily need to get up on the roof and watch him nail the shingles, but it is important that he realizes that you are there. You should clearly state your expectations to the company owner and the foreman before the work begins. Then, there is a lot less chance they will do a slack job. Who offers better roof warranty? Both manufacturers have different levels of warranties for their products. If you are just getting the basic warranty, you do not need to have your shingles installed by a certified roofer. However, if you want to have a more comprehensive warranty, GAF and Certainteed require that the installation is done by their certified contractor. 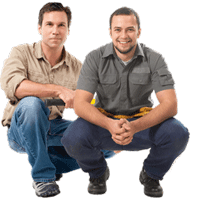 If you plan on getting the upgraded warranty with labor coverage for either product, it is very important to make sure that your contractor fills out and submits the warranty application. This is HIS responsibility. If he does not fill out the warranty, it DOES NOT EXIST! While both roofing warranties are pretty much the same, there are a few important differences you can discover, if you read the fine print. Wind uplift coverage: CertainTeed offers wind uplift coverage only for the first 15 years. GAF does not specify any time period, so we assume that its for Lifetime. Ventilation issues:CertainTeed specifically states that if there is poor roof deck ventilation, manufacturing defects of the shingles will no longer be covered under this warranty. GAF’s warranty does not state this condition for coverage. Because most homes have roof deck ventilation problems, your warranty claim will likely be denied if you install Certainteed shingles. Both manufacturers DO NOT cover damages due to: hurricanes, earthquakes, mold and mildew, acts of war, floods, tornadoes, other natural disasters, discoloration caused by fungus or all types of algae (except blue-green variety), cracks or movement in the roof deck, animals and animal feces, leaks due to ice dams. In the end, which company actually does a better job upholding their warranty and standing by their product? There is no definitive answer. There are many contractors and homeowners that have had both very good and horrible experiences with each brand. Both manufacturers have had law suits brought against them in the past for producing defective shingles. The best way to protect your roof is to follow the manufacturer’s installation instructions, carefully read the warranty details, and save all paperwork. Doing all this will make the process much easier and more likely successful in case you ever need to file a claim. Be aware of roofer bias! Every roofer has favorite roofing shingles that he likes to recommend to clients. He typically prefers the way it installs and has had no complaints about it form previous customers. As a result, many roofers often have the tendency to trash other shingle brands, even though they may not be bad at all. Thus, once you have a sense of which shingle you want to install, you should go with a pro who has positive experience with it. He will be able to do a far better job than someone who either has never installed it before, or does not think its a quality shingle. It is also a good idea to ask the pros who will be providing your roofing estimate, which shingles perform best in the area where you live. This is an especially important question for people who live in harsh climates, where there is excessive heat, or cold, ice dams, high winds, frequent rains, severe temperature fluctuations. You also need to consider that severe weather causes tremendous strain on the shingles and makes even the strongest products age and become defective much faster. In some areas, many roofs don’t last longer than 7-10 years. Some last as little as 5 years and that is considered normal. Various pros report that Timberline roofs start to develop severe thermal cracks from temperature fluctuations around the year 10-12 of service life. If you live in a mild climate, pretty much any asphalt shingles that are correctly installed will work well. For example, its very common for asphalt roofs in the mid Atlantic region to last 20-30 years. However, some roofing materials are better designed for certain types of climates. This is precisely the reason why CertainTeed came out with two new lines in the Landmark Series: Solaris and IR. Landmark Solaris is ideal for homes located in areas that get a lot of sun year round, and where solar heat tends to shorten a roof’s service life. Solaris shingles are designed to be cool, and offer a solar reflective value of more than 40%. They are rated by the Cool Roofing Rating Council and meet Energy Star Requirements for solar reflectivity and emissivity. In addition to prolonging the life of your roof, these shingles can also help you save money on your cooling costs. Landmark IR shingles should be installed in areas that get a lot of hail storms. They have been tested to withstand the impact of a 2 inch steel ball dropped from 20 feet in the air. These shingles carry the highest Class 4 impact resistance rating. If you are wondering which shingle would be optimal in your location, its best to ask an experienced local roofer. What should you do if after careful research and deliberation you still cannot decide which shingles to install? In this case, the decision should come down to choosing between roofers bidding for the job. After all, the quality of installation will actually determine how long your new shingles will last. Pro Tip: hire the contractor who offers the best labor warranty, and has the best references. He should also be certified by the manufacturer whose product he will be installing. Our verdict: CertainTeed Landmark Shingles are a more premium looking, durable product with more options for different climates and regions. GAF Timberline are a more economical choice, that have more color options and would work best in milder climates. I have a roofer that gave me estimate to replace roof of house that is 1435 sq feet of 7360.00. CertainTeed Landmark Shingles, is this a good price or is this too high. Yes, he has them switched, I caught that too; Landmark is rated at 235 lbs./square, Landmark Pro is rated at 250 lbs./square and Landmark Premium is rated at 300 lbs./square. The main difference between Landmark and Landmark Pro is color contrasts, it not much heavier. I went with the Pro on my house, but using the standard Landmark for a house I’m fixing up to sell. In your opinion, is Owens Corning – Duration worth $9,000 cost more than Timberline Hd for the roof? and yes Timberline installer will use 6 nails for shingles and I will ask about breathable Deck Armor underlayment. I don’t think it’s worth extra $9000 … that is essentially the cost of two new roofs (1500 s.f. average size) just for the upgrade. When it comes to asphalt shingles, i think that basic architectural shingle is the best, and all the premium shingles are a waste of money, unless you really like the way it looks. If you look at this guide on the prices of premium shingles from GAF, Certain Teed and others, you will see that you pay almost double the price for it. At these levels, it makes much more sense to get a truly lifetime metal roof instead. Back to OC Duration – to me they look just like any other laminated shingle. So don’t waste your money on the upgrade. If you can afford it – get a metal roof. Is all levels of the landmark shingles the same color? Some premium shingles may have a non standard color variation – however, they are still mostly similar / the same across different line of shingles. I also got one quote for metal roofinf, but not sure, the price is about 6$$$ more then GAF HD. Not sure which one should I go with? Based on your $8xxx quote, I assume your roof is about 23 squares. That is about $2900 – 3450 in materials (and Home Depot gets about 30% off the list price on materials). There rest is labor, overhead and profit. Also, Home Depot jobs or all sub-contractor work – roofers who have hard time finding their own work. Home Depot’s installation is no better than a typical roofing company from Yellow Pages. Again, you are paying for a name, while all else is pretty much equal. Wind damage is not an installation warranty issue… same can be said about ice dams, but preventing ice dams is more in the hands of contractors (using proper materials, can minimize or prevent ice damages all together). A metal roof should cost about 2.2-3 times more that asphalts, depending on the material/color/type/manufacturer. You did not provide enough info about your metal quote, so I can’t really comment on that. 1) get several quotes from GAF & CertainTeed certified roofers. You can go on manufacturer’s sites or use our roof estimate form to find local contractors. 2) stay away from big brand names (Home Depot, Lowe’s, Sears, Costco, etc) … they all operate the same way: use a big sub to handle all sales / installations, and then this big sub, hires small local subs, while customer pays double. 3) try to get several quotes for a metal roof. We are looking into getting our roof replaced, here in moody weather New England! If you had the choice between Owen Corning and Certainteed, which would you choose and why? We have two companies that have done homes in our neighbourhood, but most were done a while ago using neither brand, so while we know they did a good roofing job, now we are down to picking the right brand for our 26 year old Colonial styled home! Shingle once and be done with it. Put on Reinke Shakes. They’ve been around for 40 years. 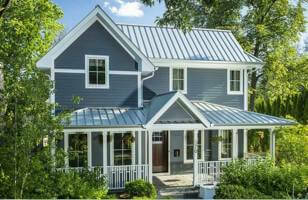 The best metal roof you can buy. Thank you!! What roof is shown under “can’t make a decision”? Like that one for my new roof! Good information. What information should be in contracts with roofers? For example, should the contract specify the number of nails per shingle or the type of underlayment? In case of shingles, and if you specifically discussed number of nails, it should definitely be in contract. Underlayment – I always use GAF DeckArmor, and put it in contract in job specs section. But I only do metal roofs. In case of shingles, most roofs come with felt, so if you discussed some synthetic material, that should also be in contract. PS – Out of all synthetics, I only recommend DeckArmor, because it’s breathable. All others will trap moisture and make your plywood rot. Stay away. Felt is better, because it won’t cause rot. Back to contract – put all specifics in it. There should be one section for specs, which includes all material specifications, and another section for special work to be performed, such as rotten wood repair, etc. Your order of quality for the CT Landmark is incorrect based on link you provided. The Landmark Premium hingles are higher quality than the Landmark PRO. , Leo B incorrectly identified the middle and higher grade of Certainteed Shingles. The middle grade Certainteed shingle is the Pro…. the highest grade is the premium…in the Landmark series.